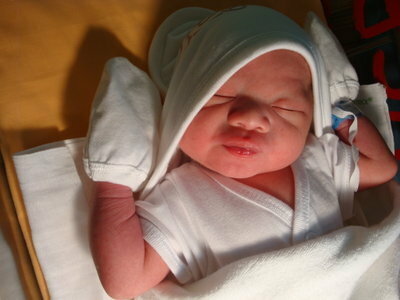 The other night we slept in PGH (Philippine General Hospital) because my cousin just gave birth to a cute a baby boy. He is so cute. He has dimples. But he cries a lot. During that night we didn’t have enough sleep. Monch and I sleep near the tv stand. And we were sleeping in a small bed. Anyway, Yuan is so adorable. How I wish we will have our own baby.